An odd occurrence has been spotted by an increasing number of iPhone users - their Apple ID accounts are being locked. This would normally happen if someone attempts to access an ID by entering an incorrect password too many times, but that's not the case here. It's still unclear what is prompting Apple's systems to lock people's accounts, but if that happens to you the company will require you to reset your password. It's an inconvenience, for sure, but thankfully you aren't being permanently locked out of your account. You'll instantly know if you're affected because iOS will present you with an alert in Settings that says some Apple ID settings must be updated. You also lose access to iMessage, iCloud, and Apple Music if you don't verify your identity. Typically when you see that screen in Settings you only have to re-enter your password, but in this case your account may actually be frozen, so you'll need to reset the password instead. It's possible that this is the result of attempts by who knows what unscrupulous group of people to brute-force hack many Apple IDs at the same time, but this is just speculation as the company hasn't issued any official word on the matter. It's also entirely plausible that it's just a weird bug in Apple's systems. 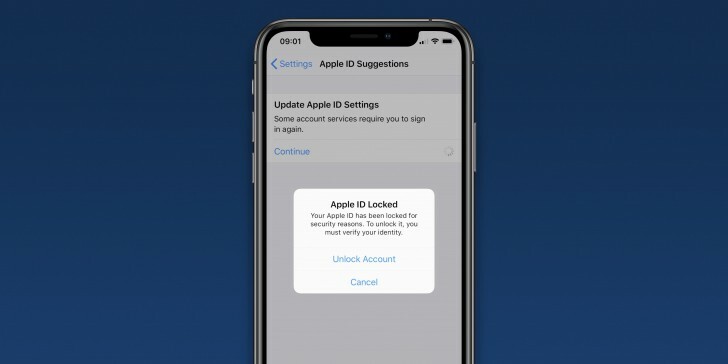 Some people have reported receiving repeated requests to log in ever since they set up a new iOS device, and this in itself could be causing Apple ID locks if the company's servers interpret that wrongly. It's impossible to say exactly how many people are currently affected by this situation, but there are a lot of reports on social media, so it's not a case of a very isolated incident. Hopefully Apple will choose to comment at some point - we'll let you know if it does. Switch. Your data should be yours not theirs. Working with an apple accout reminded me why i hate them so much.